If we had seen how the Apostle Peter prayed and raised Tabitha from the dead, would we not be inspired, when feeling the need of spiritual help, to say to him “Pray also for us”? Why can we not also say this to him now, when he is at a higher level of closeness to God? According to the Creed we believe in “one Church”. Is it only the earthly Church in which we believe? According to the Apostle’s teaching, faith relates to things not seen. Is it not therefore more characteristic of faith that it should relate to the One Church of Christians, both those struggling on earth and the perfected righteous ones in the heavens? In that case, what can hinder the communion of those on earth with those in heaven? We are commanded to love one another and pray for one another; where is it said to the saints in heaven “Do not love your brothers on earth and do not wish them good things from God” or, what is the same thing, “Do not pray for them”? In the book of the Prophet Zechariah (1:12-13) it is written, “Then the Angel of the Lord answered and said, O Lord of hosts, how long will you not have mercy on Jerusalem…?” Here you see the angel is praying for Jerusalem. “And the Lord answered the angel who talked with me, with good and comforting.” You see, the angel’s prayer is accepted. In the book of the Prophet Jeremiah (15:1) it is written, “Then the Lord said to me, ‘Even if Moses and Samuel stood before Me, My mind would not be favorable toward this people. '” This was said in a specific instance, when the Jews had, through their inquiries, made themselves incapable of accepting mercy. Consequently, in different circumstances, the Lord would permit Moses and Samuel to stand before Him in prayer, and their prayer would be accepted unto mercy, just as he accepted and fulfilled their prayers during their earthly life. 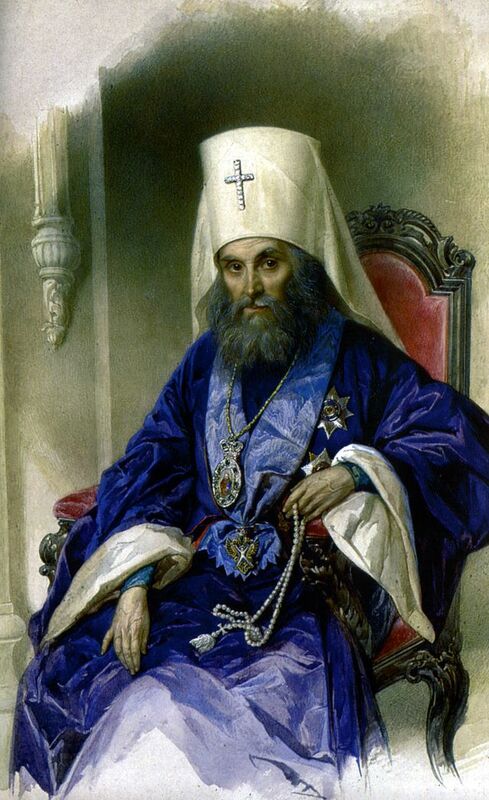 Do not reprove the Orthodox Church for the fact that her prayerful love is widespread, and is not limited to the earth, but extends form the earth to heaven, and from heaven embraces the earth.